St Vincent DePaul Society: St. Mary of the Lakes has a St. Vincent DePaul Society which serves those in need. Part of the Vincentian rule is "to seek out and find those in need and the forgotten, the victims of exclusion or adversity." 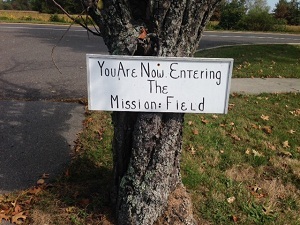 They provide services to people of all faiths in Medford and Medford Lakes. They assist those at risk for homelessness with vital services such as food, water, electricity or gas. They also have clothing on hand. The Society is located at 1 Jones Rd, Medford and can be reached at 609-953-0021. Need a little help with something around the house or a ride to a doctor's appointment? The deacons maintain a list of people willing to help with simple one-time tasks like this. This ministry is called Helping Hands. We can facilitate help for simple handy man tasks, an occasional ride somewhere, outdoor work, assistance with home electronics or paperwork/filing. If you, or someone you know, is in need of this service contact Pat Cohill, Dave Wood or any deacon and we'll get the ball rolling.